Fall wedding favors usually come in a variety of gold, bronze, and copper colors . This makes it easy to find something that will blend in with almost any fall décor you choose. 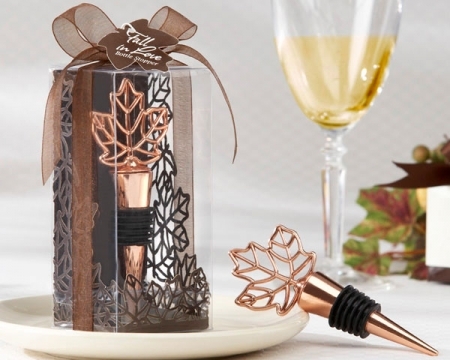 Take the “Lustrous Leaf” Copper-Finish Bottle Stopper in Laser-Cut Leaf Gift Box for example. This fancy copper bottle stopper will enhance the tablescape with it's ornate fall themed gift box. It comes to you gift wrapped and looking stunning so that you don't have to do any extra work to make it look exceptional. If your reception is in the evening, consider dimming the lights and adding candle light to the tables to make the setting more romantic. 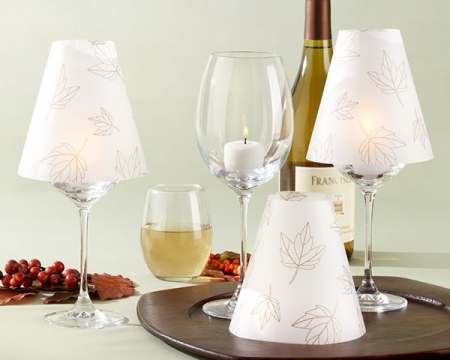 These “Fall Leaves” Vellum Shades are a unique way of adding the finishing touches. Just slip them over some standard wine glasses with a tea light inside and you have an enchanting glow that fits right in with the table setting. 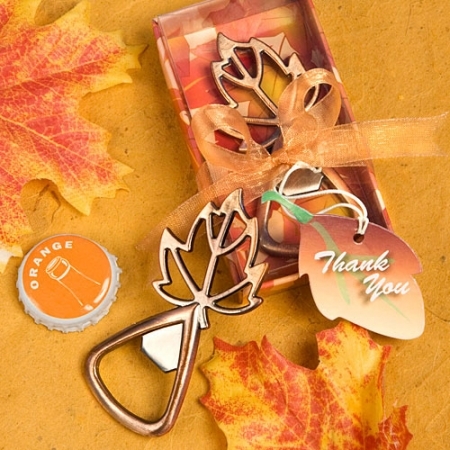 One of the most popular fall wedding favors that we carry at Express Wedding Favors is the Autumn Magic Collection Leaf Design Bottle Opener. This item is popular because it is a useful item that everyone in attendance can enjoy. 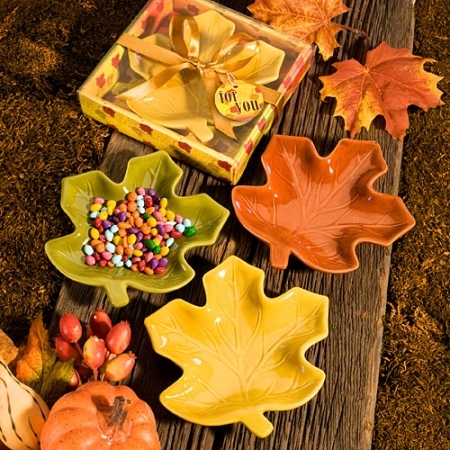 In addition to being useful, it is also packaged in a gift box that celebrates the season with a fall leaf design all over it. These are just a few captivating options for your event. There are so many more fall wedding favors to choose from. No matter which ones you choose, we are sure that you and your guests will love them just as much as we do.